I spent a year as a hospital newborn photographer and learned, on my best days, how to make a hospital room look like a white-washed studio filled with ethereal newborn-baby haze. With every shoot I experienced the allure of creating that perfect newborn portrait - a perfect mom, a perfect baby - the kind of photos you see hanging in the hallways of every maternity ward across America. And then when my own third child was born, when the visitors had come and gone - I found myself alone in my hospital room with a perfect miniature being. Just me and this exquisite baby. And so I took some pictures. I tried to do for myself what I’d done for so many other families in the hospital. 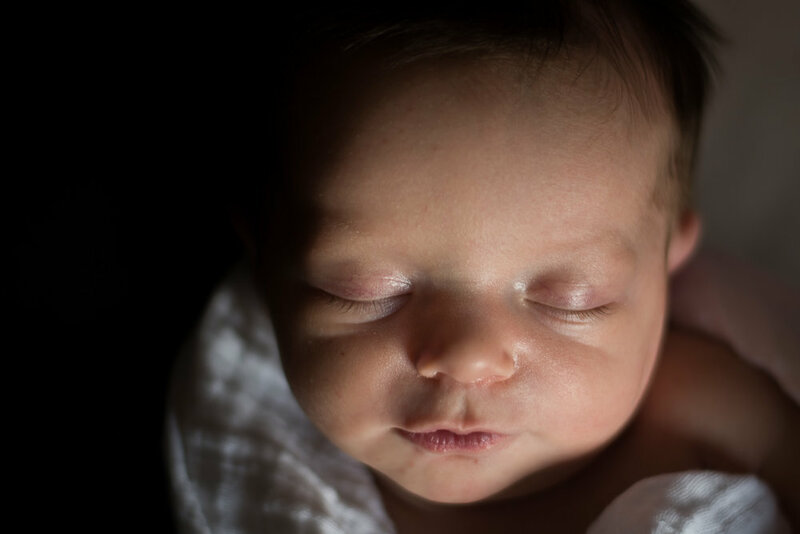 Later, when I looked through the photos I had taken during those first few days I skipped impatiently over the perfect newborn portraits, the posed, perfectly composed shots where my baby looked like every other baby in a flawless newborn shoot. 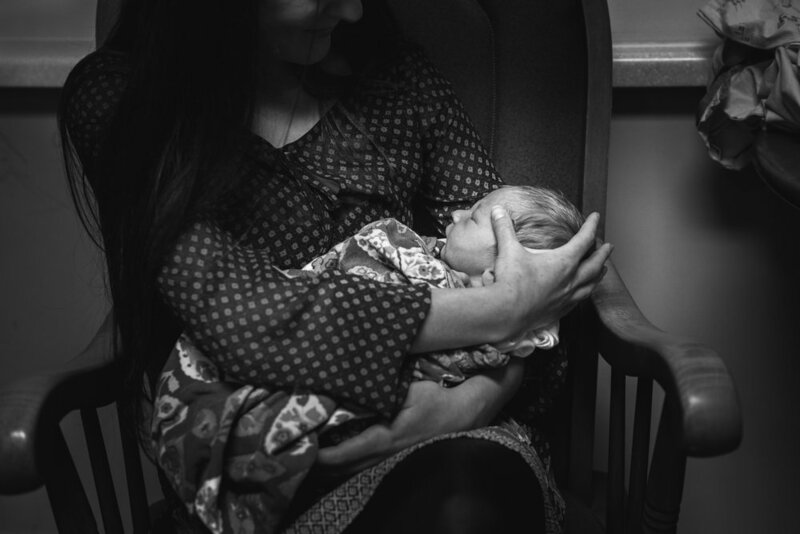 The photos that made me stop and hold my breath, where I could literally feel my heart overflowing - were the photos that brought back to memory the specific feeling of those first few days. The unmade hospital bed, our exhausted smiles, the palatable love in the faces of my older children as they examined the finger and toes of their new baby brother. And looking through those photos, I discovered for the first time that as beautiful as my son was swaddled delicately on a white sheet by the window, he was infinitely more beautiful when I saw photos of him cradled in my own arms, or his tiny face nestled against my breast. Those were the photos that meant something to me, because I didn’t ever want to forget what it felt like to witness this child for the first time. To soak in his newness, to share him and delight in him and meet him for the first time. In your newborn session, this is what I would like to capture for you. 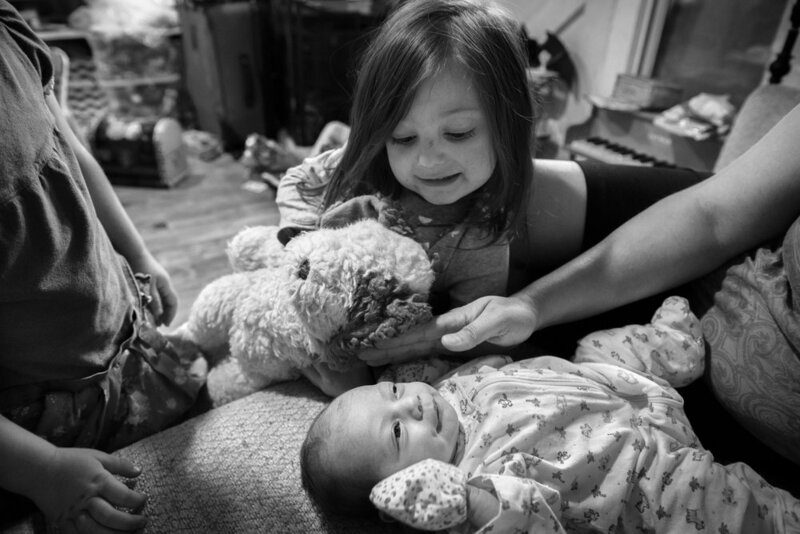 The connection between mothers, fathers, siblings and their new baby. 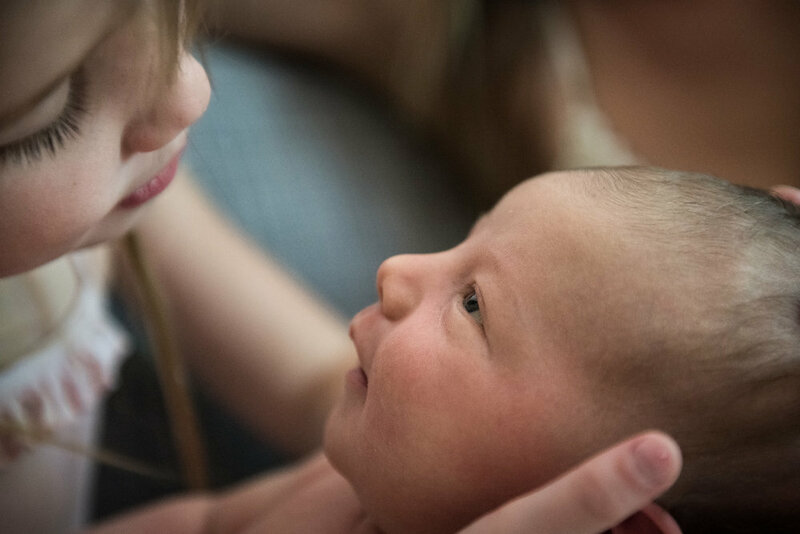 The awe and wonder surrounding a very small being, and how the birth of a baby can bring a family closer together and fill a room with love.